Today most only require a laptop, mobile phone and a stable internet connection within their flexible office space. This flexible way of working has seen the rise in flexible office space London. 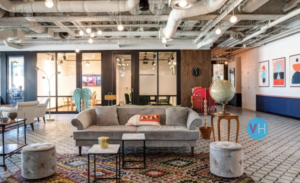 Over the past decade the number of flexible office spaces in the world has grown by 3,500 percent and the number of people working there increased by 8,000 percent. 1,700,000 million people. One primitive reason behind this popular trend is the flexibility it provides quickly evolving companies to scale up and down in size seamlessly. With the ever-changing economy, companies are no longer tied down with long term leases. They only pay for the space they need and get access to a vast array of office amenities. London has been leading the way in the flexible workspace boom. The number of new flexible working locations in Central London has grown 42% year-on-year. Experts believe that 30% of corporate real estate will be flexible workspace by 2030 and shows no sign of slowing. 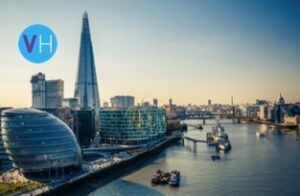 Throughout London, reports have revealed that the continuous growth has created more competitive rates, lowering the costs on all kinds of office spaces. 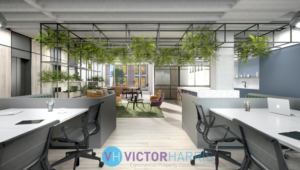 Victor Harris assist companies who are curious about flexible office space London. We use sophisticated prop technology to locate office space not to mention our own internal database. Thus, through the dedication of our employees our goal is to find something that works for you with both efficiency and ease. Victor Harris too also advise landlords on new ways to enhance their assets. View our latest properties.